This is too cool I had to pick one up from Arcane Scenery a DeeZee Miniatures Easter Island Head, no scale is mentioned its 105mm high so probably a bit big for 28mm stuff but I love it (and they did come in all shapes and sizes so this could just be a very big one! )...I've featured this picture in my latest blog post I know a shameless plug! 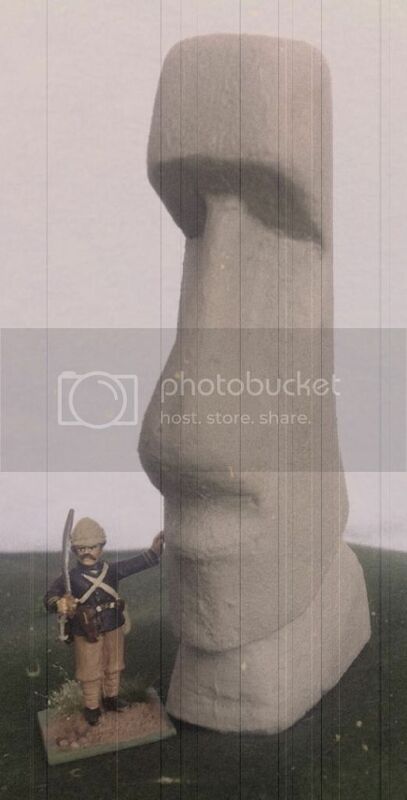 Re: Easter Island Head Anyone? I love it. I have been waning some of these for a while for use in a Pulp game, so it is great to see a size comparison.